This concept, envisioned by celebrity chef Vinodh Kumar, will be implemented by 50 chefs from Saravana Bhavan at IIT Madras. CHENNAI: Hotel Saravana Bhavan will attempt to break the Guinness World Record by making a 100 ft-long dosa on Friday. 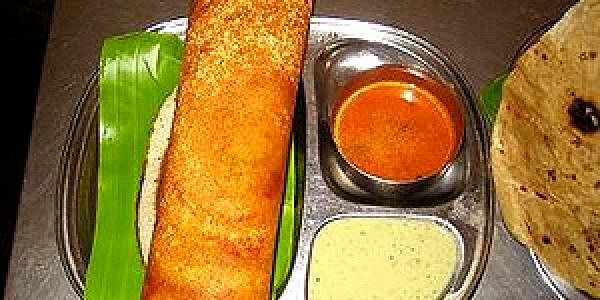 This concept, envisioned by celebrity chef Vinodh Kumar, will be implemented by 50 chefs from Saravana Bhavan at IIT Madras.Speaking at a press conference in the city on Monday, chef Vinodh Kumar said that around 20 kg of batter will be used to make the dosa. “We have gone to great lengths to plan this endeavour, and we will be successful,” he said. Currently, Hotel Dasapalla in Hyderabad holds the record for making the longest dosa measuring 54-feet-8.69-inches. “We could have decided to make a 60-feet dosa to claim the record, but we are going all in by making a 100-feet-dosa,” he said. The 105-feet dosa pan for the event is being made in coordination with Saravana Bhavan’s engineering team, and it is learned that the pan will be maintained at a temperature of 180-200 degrees celsius to ensure the dosa batter doesn’t set immediately. “The temperature will be maintained, so all the batter can be transferred to the pan and then the chefs will work in tandem to roll up the dosa,” said Vinodh Kumar, replying to a question from a journalist at the press conference. Actor Nakul’s wife Shruti Nakul, who also spoke at the press conference, welcomed the initiative and expressed confidence that it would be successful. Saravana Bhavan’s general manager Damodaran was also present at the event.